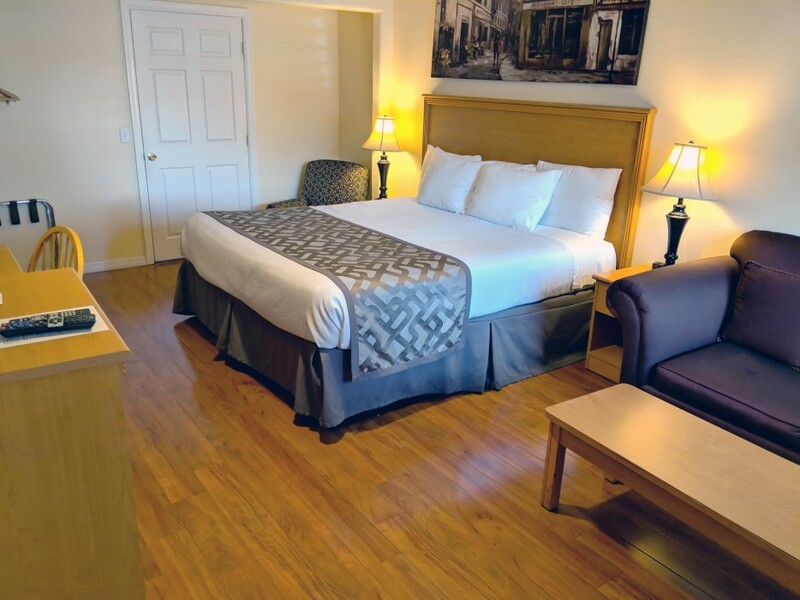 The Accessible King Bedroom at our cozy Sunnyvale hotel provides everything you need for individuals that need accessibility features and can accommodate 2 persons. The Accessible King Bedroom includes a variety of amenities including free WiFi, desk, free bottled water, flat screen TV with cable, seating area, fresh towels & linens, air conditioning, iron, heater, free toiletries, shower with full bath, telephone, radio, microwave, refrigerator, coffee machine, and alarm clock. The private bathroom features a roll-in shower and grab bars. 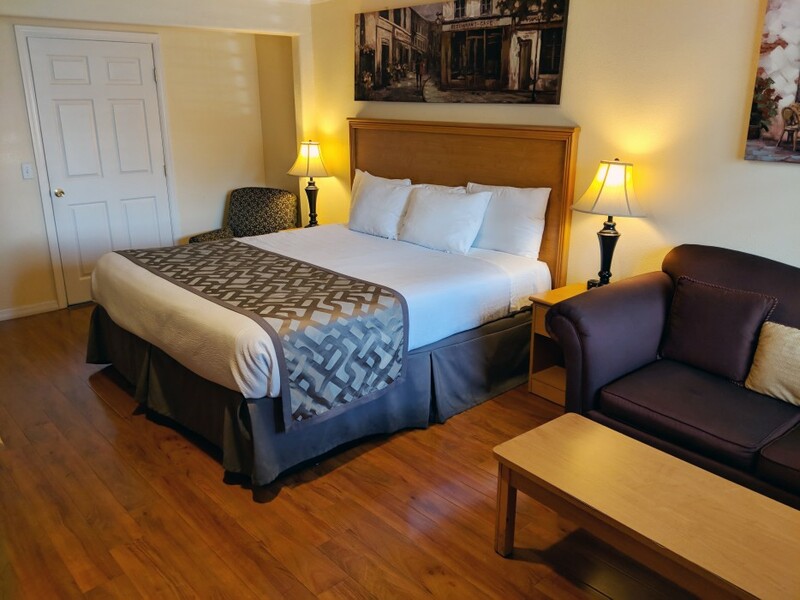 The King bed has wheelchair accessible pathway and our staff is available to answer any questions or assist with special requests for guests with accessibility requirements. 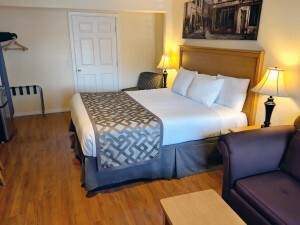 The Wittle Inn hotel in Sunnyvale, California puts you within close proximity to some of the top technology companies in the world - Google, Facebook, eBay, Yahoo, Box, and more. 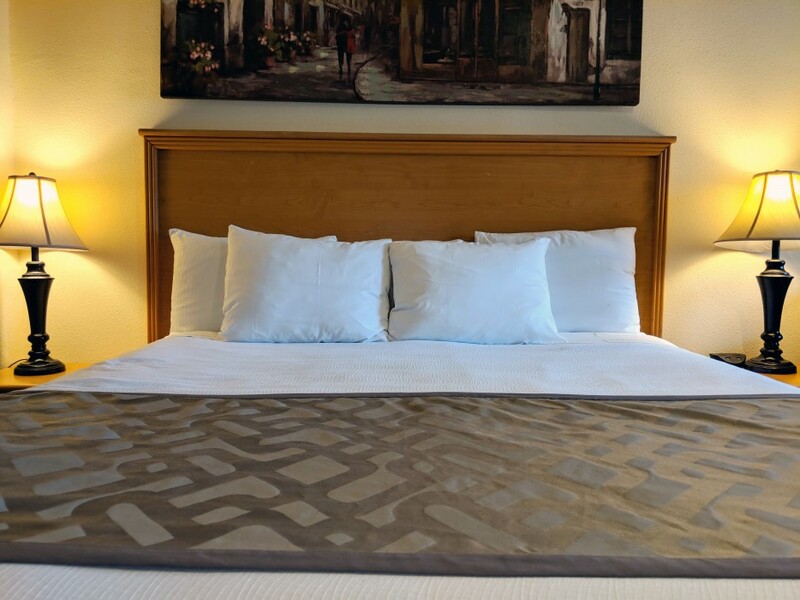 The 2 Queen bed room at our cozy Sunnyvale hotel provides everything you need while away from home and can accommodate 4 persons. 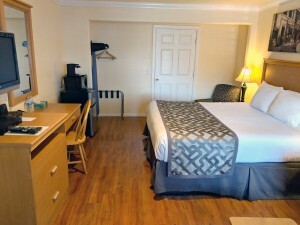 The 2 Queen room includes a variety of amenities including free WiFi, desk, free bottled water, flat screen TV with cable, seating area, fresh towels & linens, air conditioning, iron, heater, free toiletries, shower with full bath, telephone, radio, microwave, refrigerator, coffee machine, and alarm clock. 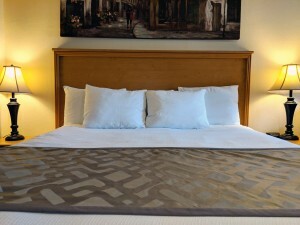 Our Sunnyvale hotel also provides free parking to all guests and for your convenience there is a 24-hour reception.